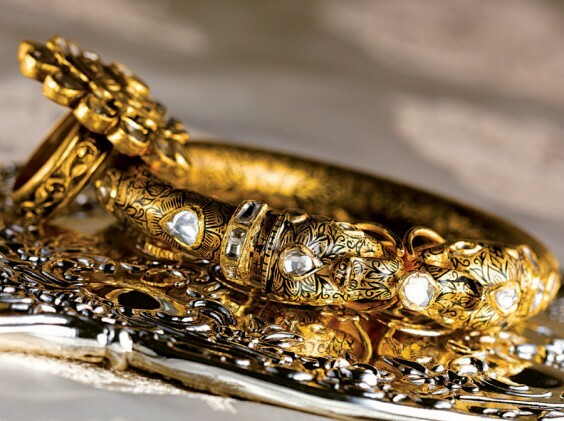 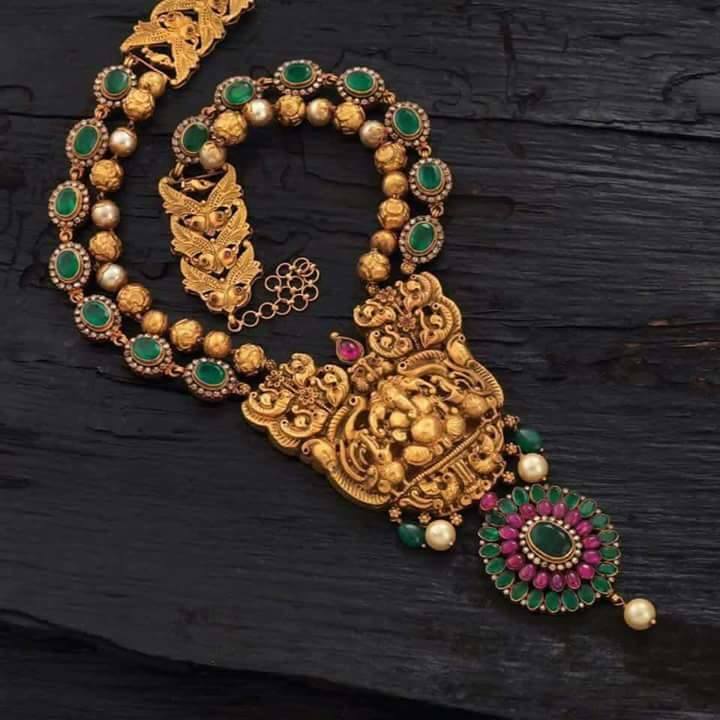 Zoya is a chain of luxury diamond jewellery boutiques in India owned by the TATA conglomerate and is the premium brand of the Tanishq jewellery business. 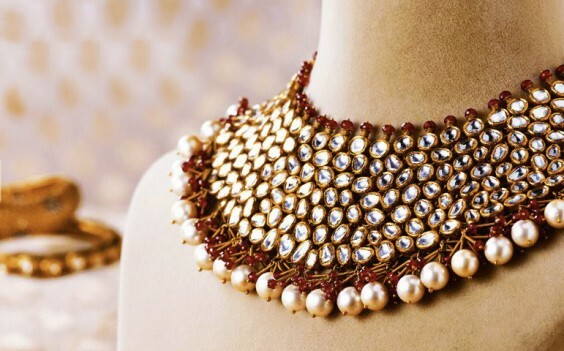 Zoya is both a product and a retail brand and is targeted at the discerning, design-conscious woman who is international in her taste. 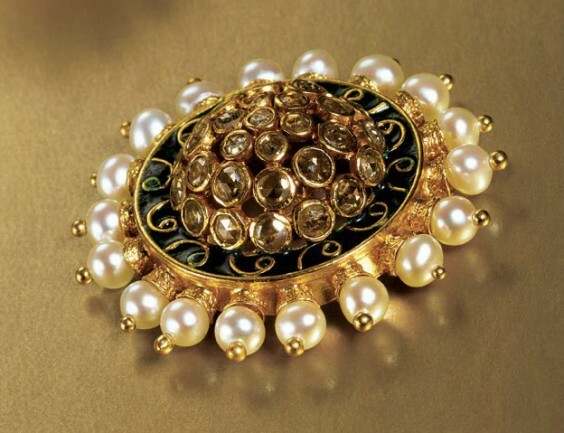 The boutiques offer mainly diamond jewellery as well as the traditional polki and kundan jewellery. One of their most remarkable collections is ‘Rajasthan’, a collection inspired by the city of Bikaner. Nestled in the magical landscape of The Great Thar Desert, Bikaner has been witness to changing dynasties, epic battles and a confluence of diverse cultures. Udatta necklace – Floral motifs in pink tourmalines and large citrine drops form this majestic polka necklace. 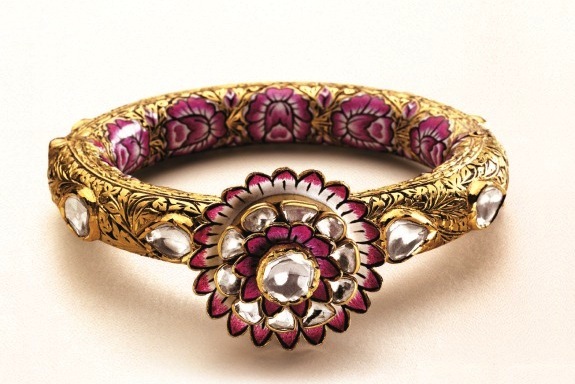 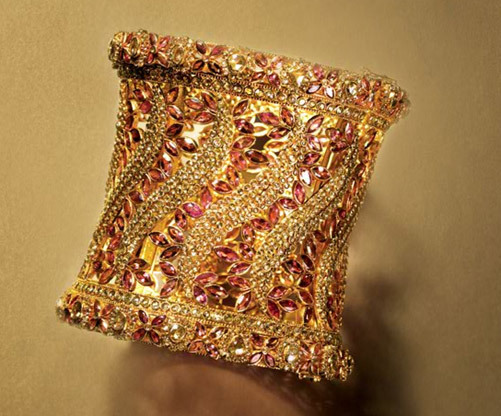 Anugrah cuff- A graceful cuff with pink tourmalines and uncut diamonds in yellow gold. 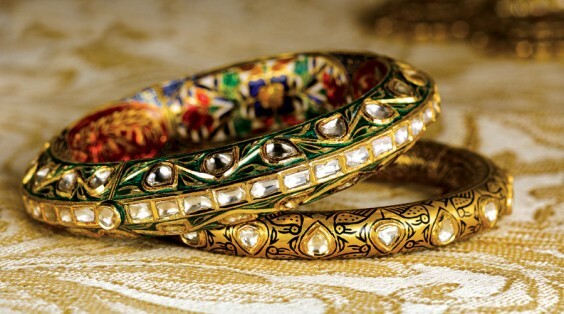 Bangles- Spectacular meenakari bangles in striking colors are decorated with studded kundan polki. 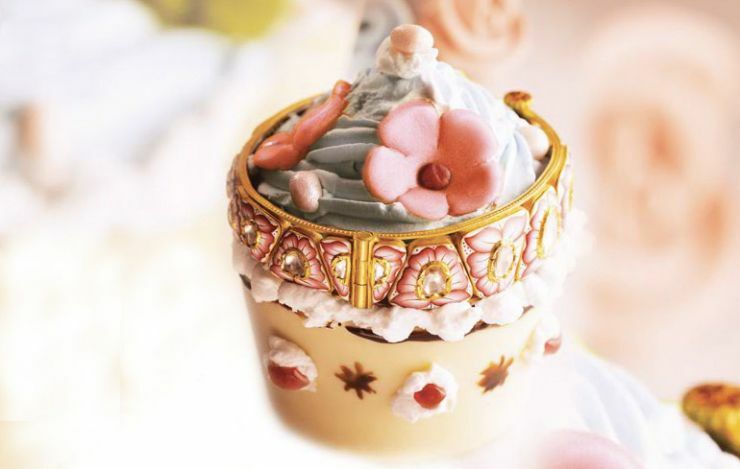 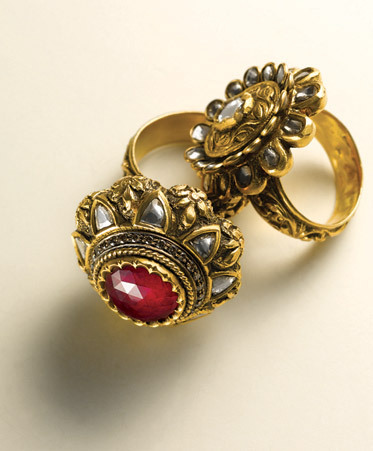 Edha ring- A 22k gold ring resplendent with a bloom of polka diamond petals with an elegant antique-finish flower. 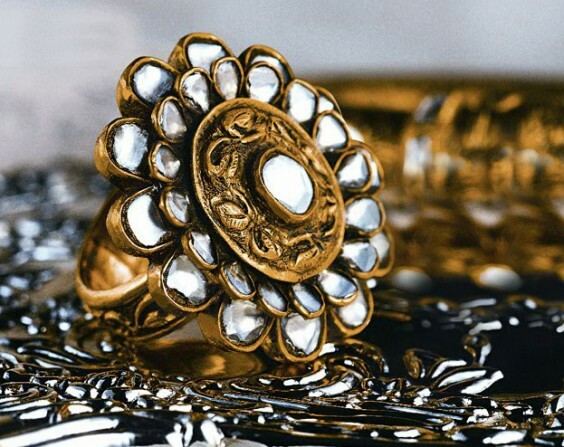 Rings- Floral rings with uncut diamonds and semi-precious colored gemstones in 22k yellow gold made with the repousse technique. Srjana earrings- This uncut diamond and ruby cabochon floral earring tells a story of royalty, tradition and grace. 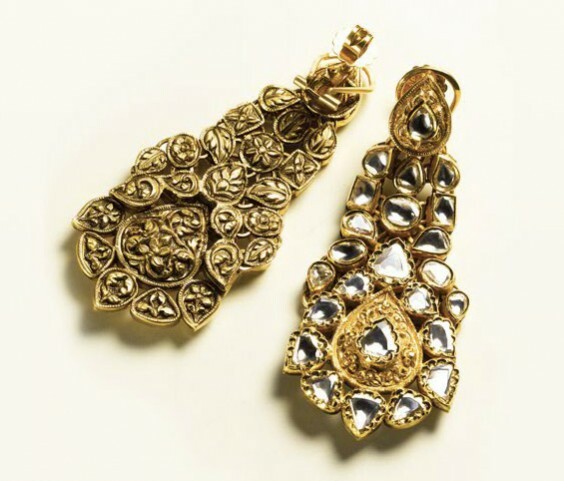 Sangam earrings – A pair of earrings in 22k gold with an amalgamation of two different kinds of settings for polka diamonds and stunning gold repousse work at the back. 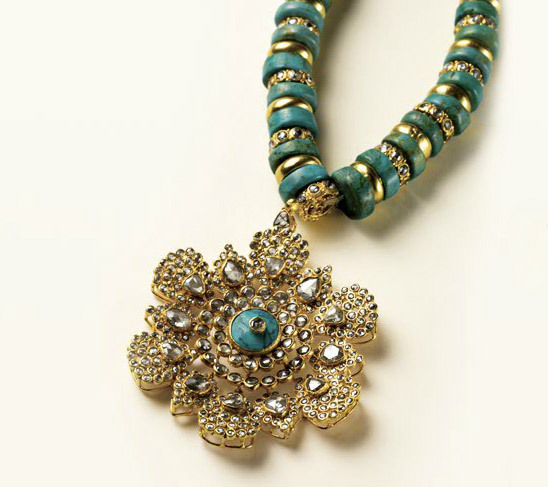 Pankhudi necklace- A necklace inspired by a flower with elaborate work on the petals with uncut diamonds and on a turquoise beaded cord. 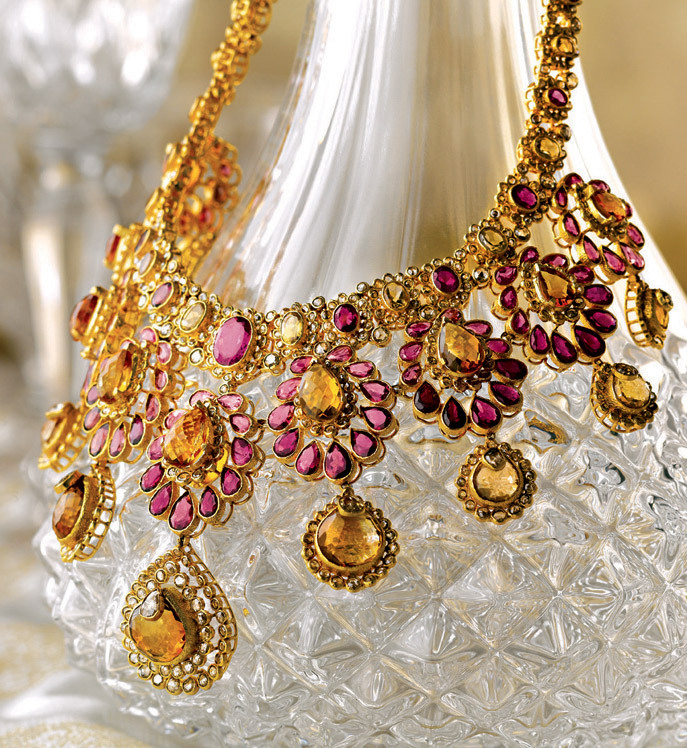 Ichha necklace- Elaborate kundan polka necklace with semi-precious stones and pearls in 22k gold. 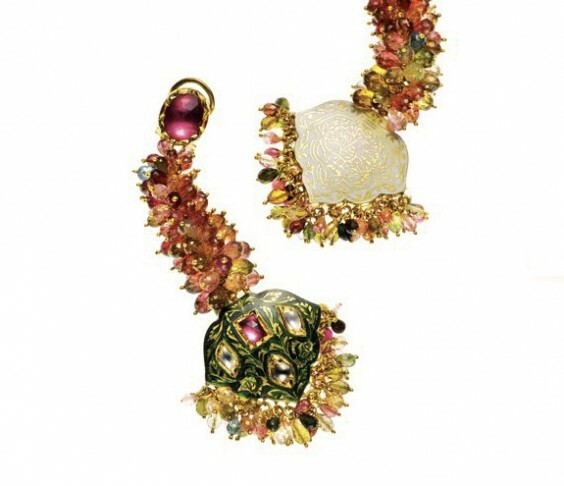 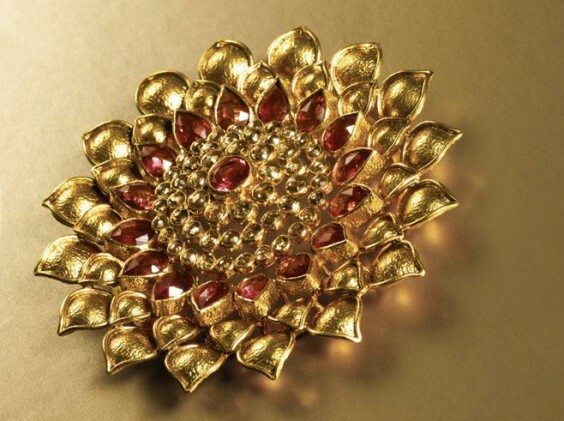 Kali pendant- A vibrant portrayal of the red dahlia in 22k gold, polka diamonds and tourmalines. 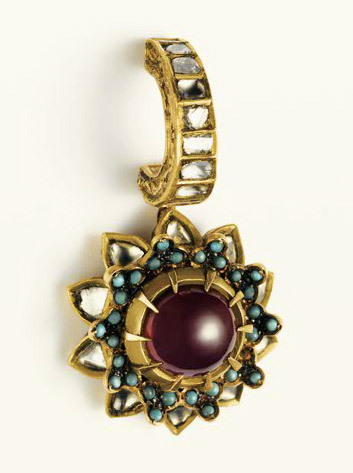 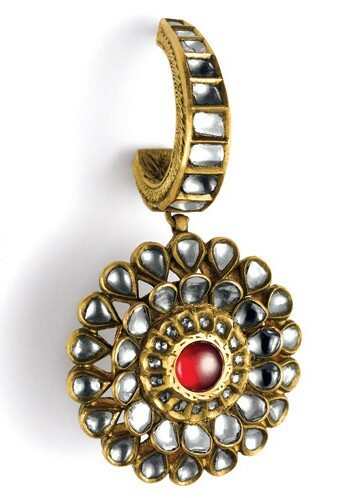 Shresth Pendant – A round pendant with rose cut diamonds, pearls and enamel work in yellow gold. 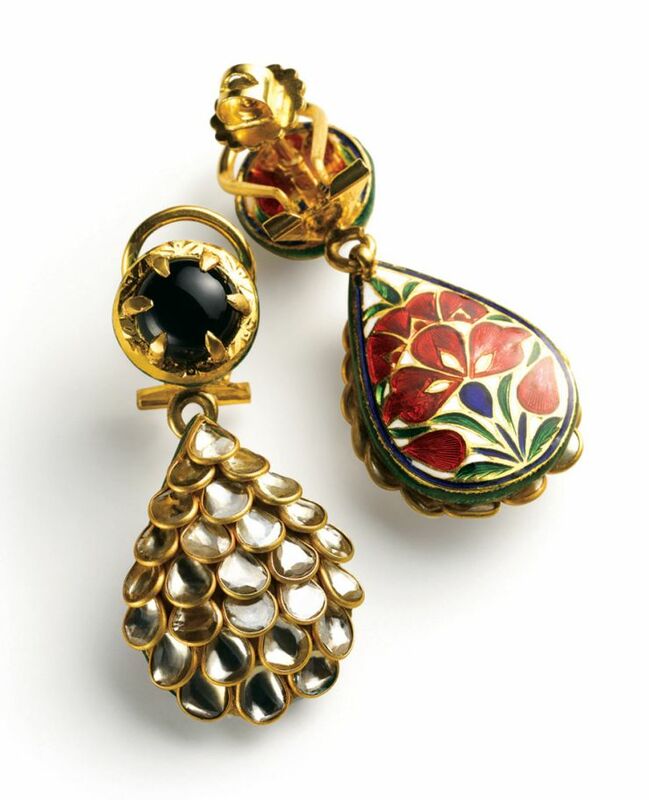 Anukul earrings – A unique pair of earrings with assorted semi-precious stones, uncut diamonds and enamel work in yellow gold.